Bio: 200%'>The paper to be presented was co-written by Dr. Nessyah Gallagher, Dr. Mitchell Ohriner, and Dr. Xin Xia. Drs. Ohriner and Xia have given Dr. Gallagher permission to present this paper at the NASA Biennial Conference, 2018. Dr. Ohriner is the Assistant Professor of Music Theory at the Lamont School of Music, University of Denver. Dr. Xia received her D.M.A. in piano performance under the tutelage of Dr. John O’Conor in 2017, and she currently resides in Shanghai, China where she runs her own piano studio. 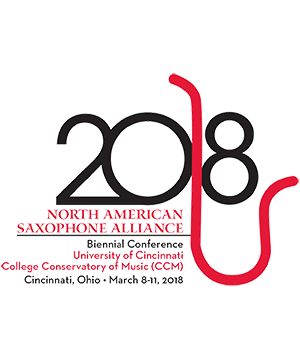 Dr. Gallagher has studied with world renowned saxophonists Fred Hemke (Northwestern University, 2011), Dale Underwood (University of Miami, 2013), and Timothy Roberts (Shenandoah Conservatory, 2016). She was the 2012 recipient for the Presser Music Award which funded her research in Melbourne, Australia. In July 2017 she performed in the 100SAX conference in Melbourne, alongside many of today’s leading Australian saxophonists.